Between the turkey, sweet potatoes and stuffing you barely have enough time to think about the Thanksgiving desserts. If you don’t want to go the store-bought sweets route, but need something quick and easy, a holiday cookie ball truffle is the perfect option. Combine a sweet potato casserole and pumpkin pie into one dessert creation. Not only are these super-simple to make, but the kids can get in on the action and help you to whip them up! Crush the cookies in a food processor until they are the consistency of wet sand. Mix in the cream cheese thoroughly. Roll the mix into walnut shell sized balls. Pop the balls in the freezer for one hour. Melt the chocolate. Put it in a microwave-safe ball and microwave it for roughly one minute (ovens vary, so it may take more or less time). Optional: Melt the butterscotch instead (you won’t need the next step, as it’s already orange). Add two drops of orange food coloring. Dip the frozen cookie balls into the chocolate, coating them completely. Be careful, the chocolate is hot. Use a spoon and do not touch it with your hands. Press the marshmallows on top. 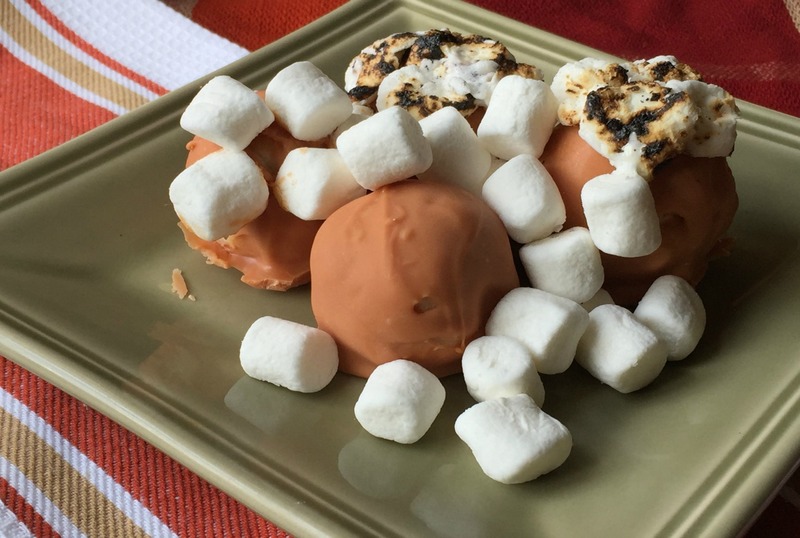 Optional: Lightly toast the marshmallows using thin skewers or bake them in a cake pan on a low heat until they are golden brown on top before gently scooping them onto the cookie truffles.